Today is the FIFTH wedding anniversary for my husband and me. We have finally surpassed the number of years we dated (four, in case you were wondering). To be honest, I had no plans to post. But, I realized, I would skip my personal tradition of reflection if I didn't write this. I love looking back at the old posts and seeing what I thought and what I learned from my marriage (year four, year three, year two, year one). While today's post may not apply to you or even be of interest, I hope you find some entertainment or some wisdom instead. We care more about each other than ever before. Ugh. I know. Sappy. BUT, give me a chance to explain. Obviously, having a child changes dynamics between us. There's another human being that supersedes us in a lot of ways. But, the result of having a child means we have to take extra care about other things. We are more mindful when we speak to each other. We are more attentive to the conversations. 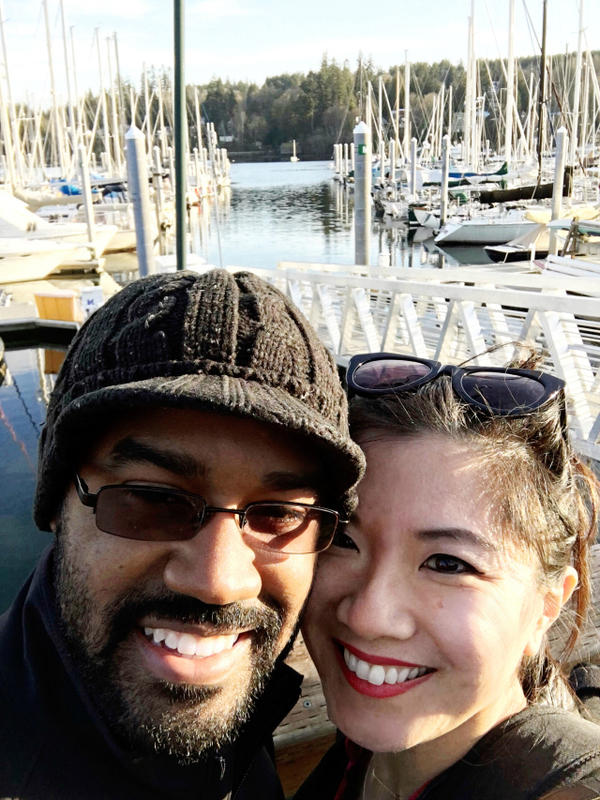 We care more about each other's personal well-being (not just for the sake of taking care of our rambunctious toddler, but for our own mental health and identity). We didn't specifically plan this, but it happened organically as we discovered what we needed from each other. Time is precious. We only have so much of it (with each other) at the end of the day. So we have to treat our time together as two with as much care as other parts of our day when we're together as three. We're "getting old," but we're OK with that. Obviously, we have a (young) kid so we already skip a lot of late nights out with friends or parties or other things that we used to do. (Although, this lifestyle really isn't too far from our pre-parenthood reality). BUT, now, we're tired by 8pm, we would rather watch a re-run of The Big Bang Theory than pay attention to a movie we haven't seen, and our bodies are feeling the affects of getting older ("What do you mean we can't/shouldn't eat that entire piece of cheesecake?," "My hip hurts," "My allergies are slowly killing me.") But, hey, we're getting older together so we can ache together. And laugh about it, together. We still remind each other to do a lot of the same things. After living together for several years, and being together for almost a decade (!!! ), you'd think certain things wouldn't need to be asked. But, you'd be wrong. At least for us. Sometimes, the full bag of garbage needs a friendly reminder to be taken out. Sometimes, a request to make the bed better needs to be said. And sometimes, even when we know the result of what will happen, we ask each other what we want for dinner where we know he'll say "what do you want?" and I'll say, "I dunno, what do you feel like?" and we'll stare at each other at how many times this same conversation has been had. Savor the date nights. Because, as a group of three, without close family nearby, and a working family budget (where a babysitter may not be a financial option ALL the time), date nights are hard to come by. We haven't gone on as many date nights as we used to. In fact, I can probably count them on one hand. And as I perused my photos to see what photo of "just the two of us" I could use, I discovered there were hardly any in the recent months. So, we clearly need to work on this one in the upcoming year. But, really, they are treasured nights. Laughter has always been, is, and will always be the best medicine. Life gets complicated whether you're married or not. But, being together for as long as we have means we have discovered a few things that help us get through some rough(er) waters. 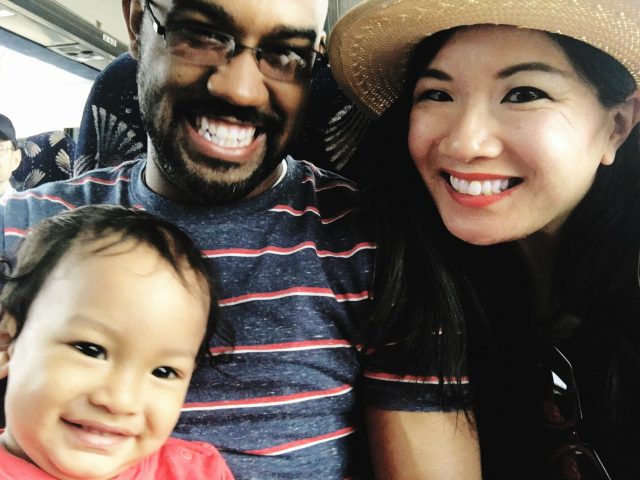 This past year, we navigated through some tricky times that we had to face together as a family unit (a huge factor as to the inactivity on this little ol' blog). But, after all was said and done, we persevered. We grew stronger and we appreciated what we had as a family even more than before. And having a good laugh about things certainly quells any negativity. As I always say, my life is made so much more special with this man beside me. We have grown so much since we first met, as individuals and as a couple. I'm incredibly grateful for this time together. Happy Anniversary to the most positive, goofiest, humblest, most hard-working man I married. Congrats to you guys! It's not very often now that couples stay together for as long as you guys! Happy Anniversary to you guys! This is so precious! Happy anni to the both of you and may you continue to grow with love together! awe cute couple alert! xO! Happy anniversary!! You two are the cutest!